Ouch. Talk about being totally shut down. All that 23-year-old Hayley O’Neil of Blackburn, Lancashire, England wanted when she went into the city’s job centre was a lead on where she could find some work. Instead she left insulted and in tears after a job centre official suggested that she “stand behind a wall” and put a paper bag over her face in order to cover up the numerous piercings that she has on her face. “He then backtracked and tried to say that he was sorry and hoped I wasn’t offended but I was. Look, I understand that some people still might believe that piercings and tattoos prevent a person from adequately doing their job. I don’t agree with it, but I can understand that an appearance such as Hayley O’Neil’s could invoke the scorn of someone who didn’t like or agree with it. Regardless of that however, even if the person at the job centre felt that Hayley O’Neil was unemployable, it really isn’t his place to tell her as much. She came in to find a lead on possible jobs and that’s all that she asked for. 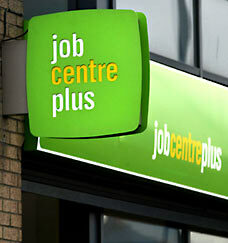 Anything beyond that is out of the hands of the Job centre people. She certainly didn’t come in asking for a critique of her appearance. It’s quite ironic that the JobCentre Plus worker most likely told Hayley that she was unemployable because her appearance wasn’t deemed acceptable or professional, when he himself behaved completely unprofessional by saying such rude and demeaning things to a 23-year-old woman. I should add that a spokesman for the Department of Work and Pensions denied that any such remarks had been made to O’Neil.